In this chapter, we review selected fundamental plasma processes that control the extensive space environment, or magnetosphere, of Saturn (see Chapter 9, for the global context). This writing occurs at a point in time when some measure of maturity has been achieved in our understanding of the operations of Saturn's magnetosphere and its relationship to those of Earth and Jupiter. Our understanding of planetary magnetospheres has exploded in the past decade or so partly because of the presence of orbiting spacecraft (Galileo and Cassini) as well as remote sensing assets (e.g., Hubble Space Telescope). 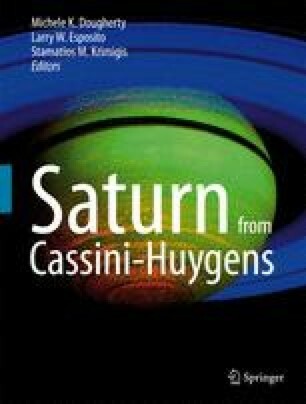 This book and chapter are intended to take stock of where we are in our understanding of Saturn's magnetosphere following the successful return and analysis of extensive sets of Cassini data. The end of the prime mission provides us with an opportunity to consolidate older and newer work to provide guidance for continuing investigations.